Provide comfort for the family of Trena Anderson with a meaningful gesture of sympathy. 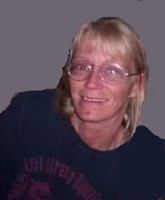 Trena Dawn Anderson, 44, of Elkview went home to be with the Lord, Thursday, March 21, 2019 at CAMC Memorial after a long illness. She was a loving mother, sister and friend who will be sadly missed. She was preceded in death by her father Carl L Anderson and her mother Deloras F. Anderson. Surviving is her son Timothy C. Keaton and fiancé, Haleigh Harper and her daughter Noel S Keaton; sisters Tanya S. Thomas (David) of Sissonville. Kimberly Anderson Drake of Elkview, Tabitha F Lesher (Travis) of Walton, and Ashley R. Anderson of Charleston; brother Carl L. Anderson Jr. (Amanda) of Elkview; grandson, Ryker Westfall; and seven nieces and one nephew. Trena was known by many of Timmy and Noels friends as "Momma Bear". A special thank you to Amanda Anderson for all you did for Trena. Amanda would go to the hospital before work, lunch and after work. The service will be 2:00 pm, Saturday, March 23, 2019 at Hafer Funeral Home with Pastor Tim Harper officiating. Burial to follow at Hawkins Anderson Cemetery. Family will welcome visitors from 1:00 to 2:00 pm at the funeral home. In lieu of flowers donations may be made to the family of Trena Anderson to help offset funeral expenses. Donations may be made at any Poca Valley Bank location and ask to put the money in the account for Trena Anderson's Funeral Fund. Arrangements are in the care of Hafer Funeral Home. 50 North Pinch Road Elkview, WV 25071. To send flowers in memory of Trena Dawn Anderson, please visit our Heartfelt Sympathies Store. We encourage you to share your most beloved memories of Trena here, so that the family and other loved ones can always see it. You can upload cherished photographs, or share your favorite stories, and can even comment on those shared by others. Provide comfort for the family of Trena Dawn Anderson by sending flowers. Sorry for your loss. May the family find comfort through prayerful reliance on Jehovah, the God and Father of our Lord Jesus Christ. He invites you all to throw your burdens on him and he will sustain you in this time of grief, because he cares for you. 1 Peter 5:6, 7; 2 Corinthians 1:3, 4.